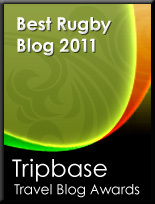 TOTAL FLANKER...a rugby blog: Days of the Jackal numbered? Another measure apparently being considered by World Rugby following last week’s player welfare symposium in Paris is to prevent any player arriving at the breakdown from playing the ball with their hands. This would effectively end "the jackal" as we know it. Finally World Rugby are listening to me!! The proposal is clearly being considered with player safety in mind, with the likes of Sam Warburton and David Pocock - both world class jackals - having suffered long term injuries caused by heavy hits taken to the back and neck while in an exposed position competing for the ball at at the breakdown. Is it any wonder that these players, who clamp themselves over the ball with head and neck exposed while the opposition smash into them in an attempt to remove them by any and all means necessary, suffer long term damage? 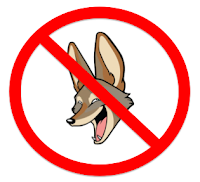 Back in my day (here we go go again), when I last played in anger in the 80s and 90s, the jackal didn't actually exist. When you were tackled you had to release the ball immediately - none of this rolling around for a few seconds and placing the ball back - while anyone arriving at the breakdown was required to drive over both the ball and any prone player. No hands were allowed, but there was still plenty of competition for possession. Yes, there would be the occasional/regular boot to the body (and occasionally worse), but wounds tended to be mostly superficial rather than the high impact, long-term injuries prevalent today. I'm not sure when that all changed, when locking on to the ball with your hands after a tackle first became permitted and then encouraged, but there is no doubt that the physical punishment taken by today's jackals is far more severe than the the occasional boot to the body. So, while any change to the laws aimed at driving the jackal out of rugby would, of course, fundamentally alter the game as it is played now, I don't think that would be a bad thing. The contest for possession would not disappear, only change in its nature. And rugby would be a darned sight safer. Result, no one contests the ball unless an obvious chance, no missiles, no hands in ruck, fast ball meaning defences are stretched. I'd want to try the laws being enforced first. I think one of the problems is that more often than not the jackal does not make a genuine attempt to win the ball, instead clamping himself on the ball, or even the player on the ground, to prevent released and win the penalty. Sort this out and things would improve, although I still believe that preventing players using hands after the tackle is the safest option.